We have introduced a new nanoparticle composition and concept to the drug delivery area with resulting successful performance in lung, ovarian, breast, and pancreatic cancers as well as mesothelioma animal models (Biomaterials, 2011, 2013, 2016; Nanomedicine, 2016). Specifically, we designed a nanoparticle that localizes to tumor after intrapertoneal (IP) injection and, once at the low pH site of the tumor, undergoes a hydrophobic to hydrophilic transition resulting in swelling and rapid release of the drug (J. Am. Chem. Soc., 2009; Nanoscale, 2013). As the drug is maintained in the carrier until it reaches the target site, high local intratumoral and intracellular concentrations are achieved with low systemic exposure. The hydrophobic to hydrophilic transition arises in the crosslinked polymeric nanoparticle from the deprotection of the acid-labile protecting group on the hydroxyl. Once expanded, the polymer network acts as a hydrogel depot to concentrate the drug and allows a prolonged exposure at the desired site. Discovery of this concentrating effect enabled an unprecedented experiment whereby empty nanoparticles are first IP injected into a tumor-bearing animal and then subsequent injection of drug, 24 h later, results in high drug levels in the tissue as compared to a drug-alone treatment (Sci. Rep., 2016). This result paves the way for a new paradigm where medical devices can be repeatedly loaded after implantation to afford a superior outcome. The closure and repair of wounds after traumatic or surgical injury is of significant clinical and research importance. While sutures remain the common wound closure technique, they possess many disadvantages. Consequently, polymeric hydrogel sealants and adhesives are emerging as essential biomaterials for wound management and repair. Building off our successful syntheses of biodegradable polyester, polyamide, and polyether-ester dendritic polymers based on biocompatible building blocks, we crosslinked these polymers to afford new hydrogels with targeted biodegradation, mechanical, adhesive, and swelling properties (J. Am. Chem. Soc., 2002, 2004; Bioconjug. Chem., 2006). 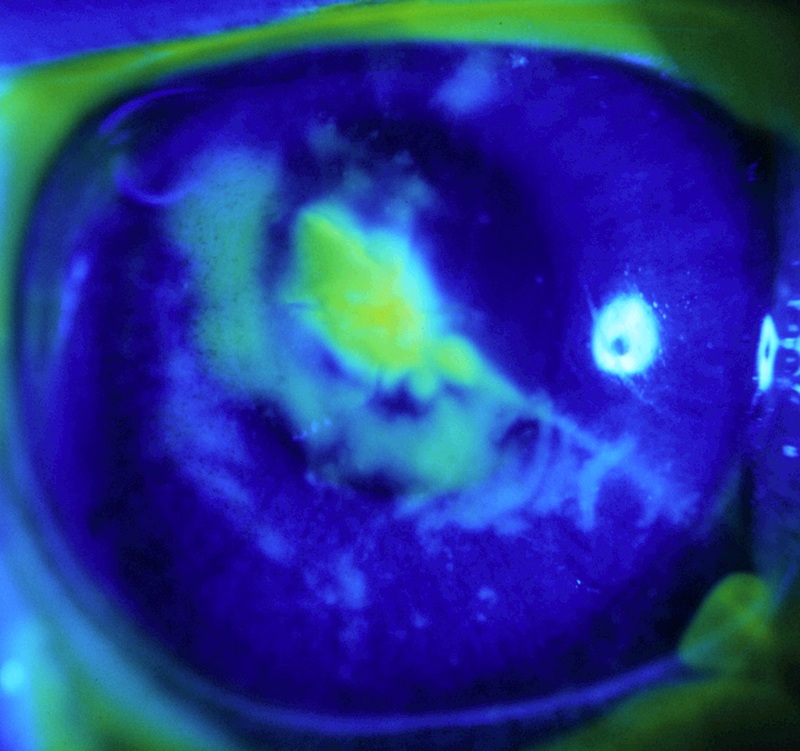 This seminal discovery of unique hydrogels catalyzed the development of corneal sealants, which are changing the standard of care for wound management (J. Cataract Refract. Surg., 2005; Invest. Ophthalmol. Vis. Sci., 2007; Arch. Ophthalmol., 2009). The discovery also led to the formation of Hyperbranch Medical Technology and commercialization of ocular (CE), dural (CE/FDA), spine (CE) and hernia patch (CE) sealants which have been used to treated thousands of patients (OcuSeal® and Adherus Surgical Sealants,® respectively). 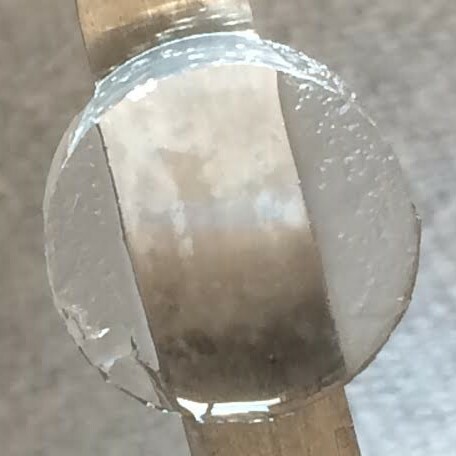 We next developed a library of hydrogel sealants and dressings, which possess the favorable properties of tissue adhesion and swelling, and act as a preventive barrier to bacterial infection along with the unique feature of dissolution on-demand with a biocompatible aqueous solution. The mechanism of hydrogel dissolution relies on the thiol-thioester exchange reaction. These new sealants perform successfully in ex vivo and in vivo models of hemorrhage (Angew. Chem., Int. Ed., 2013), and are of interest for providing immediate treatment of severe hepatic and aortic trauma with a dissolution feature for post-emergent care at the hospital. Similarly, these hydrogels are succssful in treating second-degree burn wounds (Angew. Chem., Int. Ed., 2016), and, thus, these dressing may provide a means to repeatably change dressings in a minimally or pain-free manner. Polysaccharides play key roles in biology, including in energy storage, as structural materials, and as modulators of protein interactions and activity. However, polysaccharides are remarkably diverse in molecular configuration, functionalization, linkage types, and degree of branching, and thus, are challenging synthetic targets. To address this fundamental problem, we reported a new method of synthesizing polysaccharide analogs. Specifically, enantiopure poly-amido-saccharides (PASs) with defined molecular weights and narrow dispersities are synthesized using an anionic ring-opening polymerization of a β-lactam sugar monomer with degrees of polymerization ranging from 25 to >120 in high yields (J. Am. Chem. Soc., 2012; ACS Macro Lett., 2013; ACS Macro Lett., 2014; Chem. Sci., 2014). The PASs have a previously unreported main chain structure that is composed of pyranose rings linked through the 1- and 2-positions by an amide bond with β-configuration. PASs offer the advantages associated with synthetic polymers, such as greater control over structure and derivitization. At the same time, they preserve many of the structural features of natural polysaccharides, such as a stereochemical regularity and rigid pyranose backbone, that make natural carbohydrate polymers important materials both for their unique properties and useful applications (J. Am. Chem. Soc., 2016). Superhydrophobic materials are finding increased use in the biomedical area as substrates to control protein adsorption, cellular interactions, bacterial growth, and as platforms for drug delivery devices and diagnostic tools (Biomaterials, 2016). 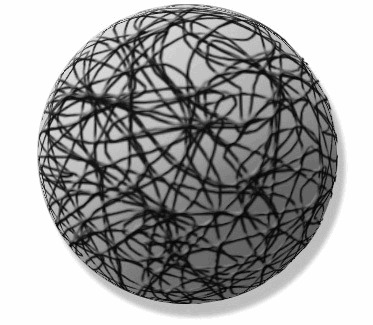 The commonality in the design of these biomaterials is to create a stable or metastable air state at the material surface, which lends itself to a number of unique properties. Via electrospinning a solution of poly(ε-caprolactone) (PCL) and a novel poly(glycerol monostearate-co-ε-caprolactone), we fabricated 3D meshes with varying surface tensions (including those exhibiting superhydrophobicity). One application for these non-woven meshes, which are flexible, easily stapled and cut, is for the controlled delivery of either hydrophobic or hydrophilic anticancer drugs for the treatment of lung cancer recurrence (J. Am. Chem. Soc., 2012; J. Control. Release, 2015; Biomaterials, 2016). The drug-loaded buttress is implanted at the resection margin to release local chemotherapeutics. 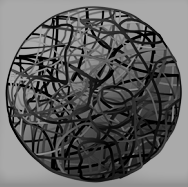 Recognizing that we can tune the surface tension of these meshes, we next designed and evaluated unique surface tension sensors. These sensors function by exploiting the transition in wetting states of liquids near the critical surface tension on each porous material. The sensor is composed of an upper, ‘responsive’ layer that wets with liquids only below a specific surface tension, after which the hydrophilic lower ‘indicator’ layer wets completely, and causes a color change due to incorporated bromocresol purple dye. Such sensors are successfully used to determine the fat content in breast milk and by doing so helps mothers feed and care for low birth weight and failure to thrive infants (Adv. Healthc. Mater., 2015). Glycerol-based polymers are of widespread interest for industrial, cosmetic, and pharmaceutical applications (Chem. Rev., 2016). 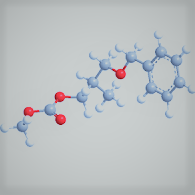 Various polymer architectures from linear to dendritic are reported for pure polyglycerol ethers and carbonates as well as copolymers with hydroxy-acids to give poly ether-esters or poly carbonate-esters. Within the biomedical arena, these polymers possess the following advantages: 1) a free hydroxyl group for functionalization with chemotherapeutic agents, antibacterial compounds, anti-inflammatory agents, fluorescent tags, or material property modifiers, 2) a defined biodegradation route to afford non-toxic and non-acidic byproducts, e.g., glycerol and carbon dioxide, 3) physical properties ranging from semi-crystalline or amorphous materials based on the polymer or co-polymer compositions, and 4) amenability to manufacturing methods such as casting or electrospinning. In many ways, these polymers provide users the capabilities of well-known polymers like PLA (polylactic acid) or PLGA (poly(lactic-co-glycolic acid)) with the additional benefits of easily modifiable structure and non-acidic products upon biodegradation. We described the first synthesis of linear polycarbonates based solely on glycerol (i.e., poly(1,3-glycerol carbonate)) using a ring opening polymerization strategy in 2003 (Macromolecules, 2003). These polymers are easily functionalized and degrade into safe, non-acidic products of glycerol and CO2. 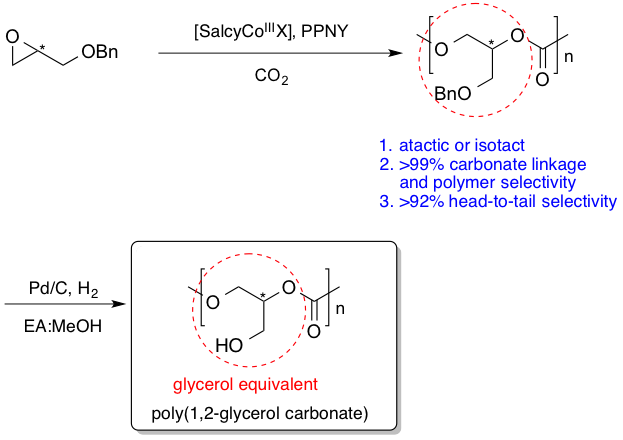 We also reported the first synthesis of atactic and isotactic linear poly(benzyl 1,2-glycerol carbonate)s via the ring-opening copolymerization of rac-/(R)-benzyl glycidyl ether with CO2 using [SalcyCoIIIX] complexes in high carbonate linkage selectivity and polymer/cyclic carbonate selectivity (J. Am. Chem. Soc., 2013). Building on these results, we next synthesized poly(glyceric acid carbonate), which is a degradable analogue of poly(acrylic acid) (J. Am. Chem. Soc., 2015). With the ongoing global effort to reduce greenhouse gas emission and dependence on oil, electrical energy storage (EES) devices have become ubiquitous. Today, EES devices are playing key roles in energy storage, transfer, and delivery within, e.g., electric vehicles where performance at temperatures greater than 25 °C is required (Chem. Soc. Rev., 2017). 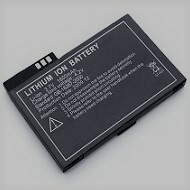 Therefore, the chemical stability of the used electrolyte is crucial for broader applications. 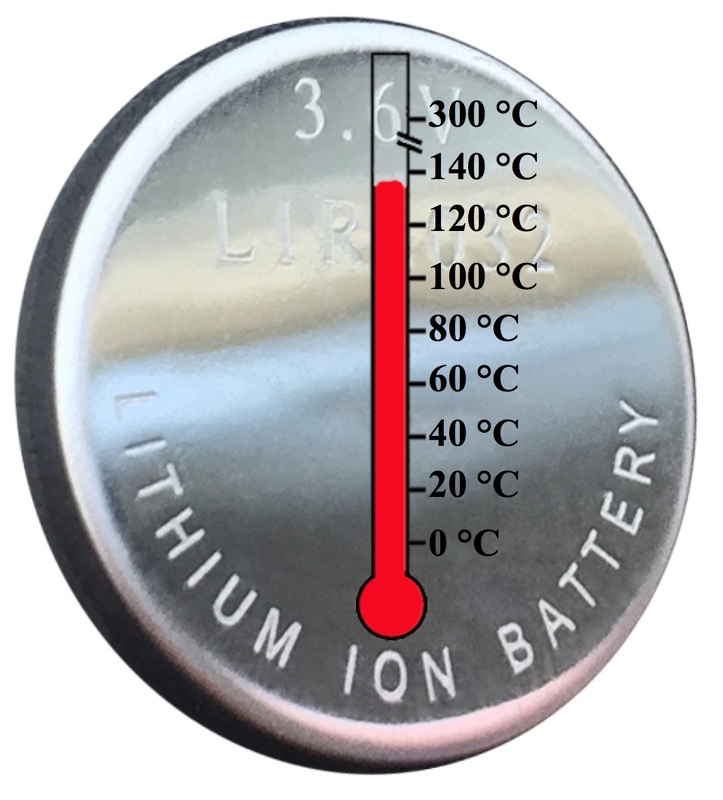 To overcome the challenge of instability at elevated temperatures, we have assembled a lithium metal battery (LMB) containing a tailored phosphonium ionic liquid / LiTFSI electrolyte that operates at 100 °C with good specific capacities and cycling stability (Chem. Sci., 2015). Substantial capacity is maintained during 70 cycles or 30 days. Instant on-off battery operation is realized via a significant temperature dependence of the electrolyte material, demonstrating the robustness and potential for use at high temperatures. Taking advantage of our synthetic route to poly(glycerol carbonate)s, we then described the synthesis of aliphatic poly(ether 1,2-glycerol carbonate)s via copolymerization of CO2 with glycidyl ethers and reported a thermally stable solid polymer electrolyte (ACS Macro Lett., 2015) which performs over a range from 25 to 100 °C. A malignant tumor is more than a single mutated cell population replicating without regard to the otherwise healthy tissue, within which it resides. Rather it is characterized by changes in the microenvironment resulting from the interplay between the extracellular matrix, the malignant cells, and their assorted support of endothelial, tumor associated macrophages, cancer associated fibroblasts, pericytes, and immune cells. However, artificially polarized cells, adhered to treated polystyrene, are used as our first round of testing for research in cancer biology, cancer immunology, drug delivery, and novel drug discovery. 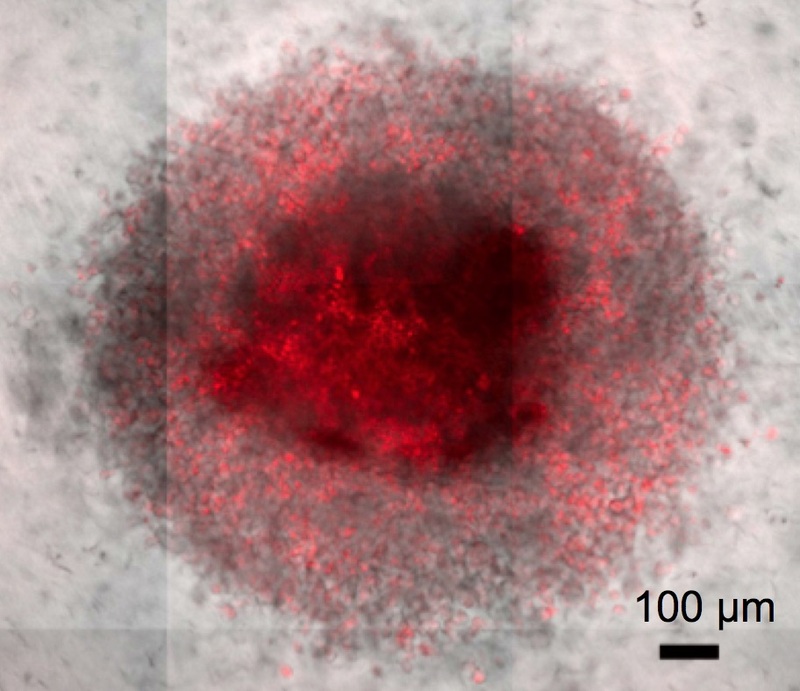 In order to develop a model that better mimics a tumor, we are preparing, characterizing, and evaluating spheroids, or multicellular aggregates, embedded in a 3D collagen matrix as an in vitro cancer model (Biomaterials 2014). The advantages of this system are a more physiological environment for cellular interactions, metabolism, growth, and invasion. Importantly, the technique is scalable for high throughput applications and the combination of whole spheroid techniques with single cell analysis allows in-depth investigations into basic cancer cell behavior from the macroscopic to single molecule scales. We are exploring the: 1) interplay between tumor associated macrophages and cancer cells, 2) effect of chemotherapeutic response based on cell type and embedded multicellular architecture, 3) efficacy of drug delivery systems for deep tumor penetration, and 4) role of the microenvironmental on cancer stem cell presence. 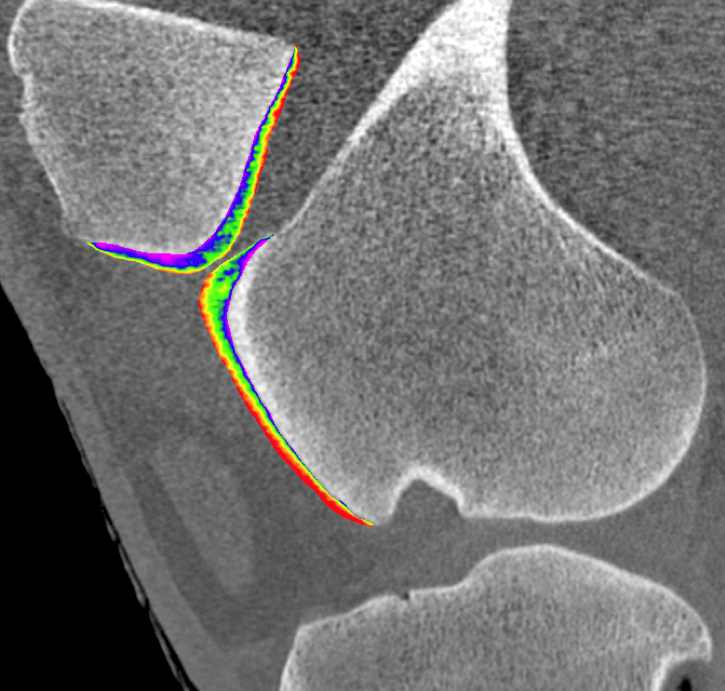 Today, there are no quantitative clinical techniques for imaging healthy or diseased articular cartilage. Articular cartilage is the smooth, hydrated tissue that lines the ends of long bones in load bearing joints. As a first step to address this unmet clinical need, we are designing new contrast agents for computed tomography (CT) (Chem. Rev., 2013) and magnetic resonance imaging (MRI). Specifically, we have developed a unique family of CT (J. Am. Chem. Soc., 2009; Angew. Chem., Int. Ed., 2014) and MRI (Chem. Commun., 2015) contrast agents based on electrostatic interactions between the agents and the negatively charged glycosaminoglycans present in articular cartilage. These contrast agents (e.g., CA4+) enable sensitive, non-destructive contrast enhanced imaging to assess the biochemical and biomechanical properties of articular cartilage with 3D visual maps of cartilage glycosaminoglycan content, equilibrium modulus, and coefficient of friction in multiple animal and human cadaveric models (J. Orthop. Res., 2011; Osteoarthr. Cartil., 2011; Osteoarthr. 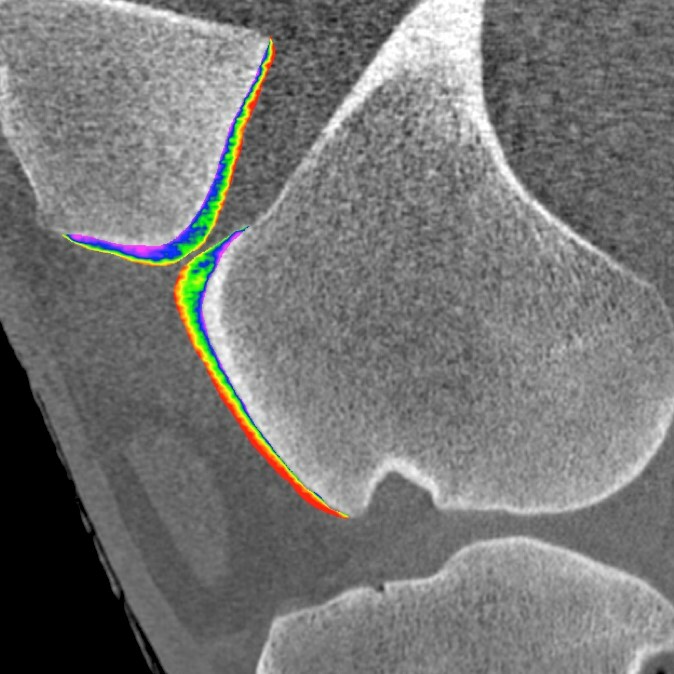 Cartil., 2013; Radiology, 2013; Cartilage, 2016; J. Orthop. Res., 2016). These agents and methods are empowering researchers to study diseases like osteoarthritis (OA) and to evaluate new OA therapies in both small (mice, rats, and rabbits) and large (horse) animal models. Synovial fluid is the clear, viscous liquid that efficiently lubricates the articular cartilage lining the ends of bones in synovial joints such as the knee. Healthy synovial fluid contains hyaluronic acid (HA), which affords optimal lubrication, shock absorption, and viscoelastic properties for sustained joint function. Given that injury or life-long continued use results in lower concentrations of produced HA and induces mechanical wear at the cartilage surface (i.e., osteoarthritis), we are designing, synthesizing, and evaluating an anionic polymer as a novel biolubricant. By reducing the coefficient of friction and minimizing wear, the time until a total knee surgery is required could be delayed. There are no such concepts reported or treatments available today. 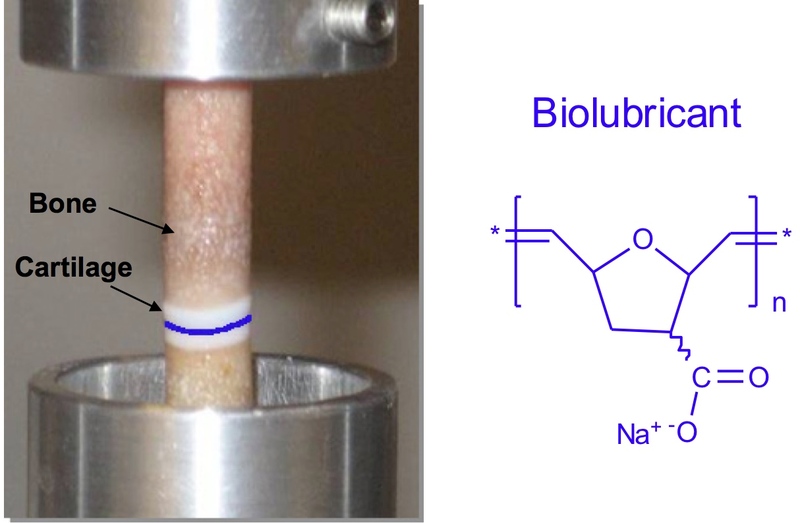 Using ring-open polymerization, anionic polymers with large molecular weights (1 to 10M g/mol) are synthesized which lubricate articular cartilage surfaces (J. Am. Chem. Soc., 2013). Their performance is similar to that of healthy synovial fluid and superior to those of saline and Synvisc in an ex vivo human cartilage plug-on-plug model. In addition, the polymers are not readily degraded by hyaluronidase and are not cytotoxic to human chondrocytes in vitro. The rheological and lubricating properties are dependent on the polymer chemical structure. For example, olefin hydrogenation reduces polymer viscosity by several orders of magnitude (J. Am. Chem. Soc., 2010). Large animal model studies are ongoing to evaluate polymer efficacy in osteoarthritis trauma models. A hallmark of supramolecular chemistry is the use of well-defined molecules or macromolecules and intermolecular forces to synthesize larger, more complex chemical systems with new and unique properties. Of the various supramolecular assemblies known, networks are particularly interesting since their macroscopic properties can be significantly different than the properties of the individual building blocks (Isr. J. Chem., 2013. Non-covalent synthetic strategy typically employs hydrogen bonding, van der Waals forces, or metal-ligand bonds. In contrast, we reported the use of multi-cationic and multi-anionic molecules and macromolecules to prepare supramolecular ionic networks (J. Am. Chem. Soc., 2008; Macromolecules, 2012; 2012). These new polymeric materials exhibit interesting rheological (stiff to elastic) and temperature-dependent electrochemical properties. Repair of ophthalmic wounds after traumatic or surgical injury is of significant clinical and research importance. The cornea of the eye is one such site where tissue remodeling after injury is critical since it serves an important role in refracting and focusing light rays necessary for clear vision. In collaboration with Dr. Terry Kim, we have designed, synthesized, and evaluated new dendritic polymer-based hydrogel sealants for the repair of corneal wounds. The crosslinked hydrogel sealants are transparent, pliable, and soft. These sealants are formed using two strategies. 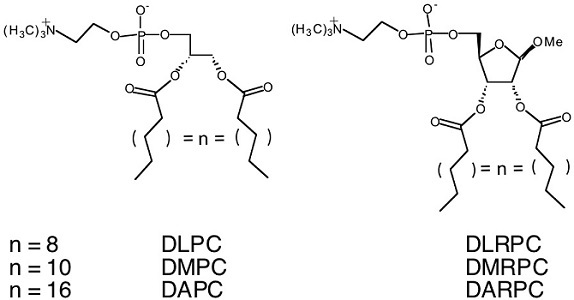 In the first approach, the end groups of the dendritic macromolecules are modified to contain an acrylate or other free-radical polymerization groups, which are subsequently crosslinked using light. The sealants based on a photocrosslinkable ABA dendritic-linear copolymer composed of glycerol, succinic acid, and polyethylene glycol successfully seal ex vivo and in vivo full-thickness corneal lacerations, secure ex vivo laser in situ keratomileusis (LASIK) flaps, and close ex vivo corneal transplants (J. Am. Chem. Soc., 2002; Arch. Ophthalmol., 2004; J. Cataract Refract. Surg., 2005; Invest. Ophthalmol. Vis. Sci., 2007; Arch. Ophthalmol., 2009). The second approach relies on multiple chemical ligation reactions between the macromonomers to form the hydrogel adhesive. 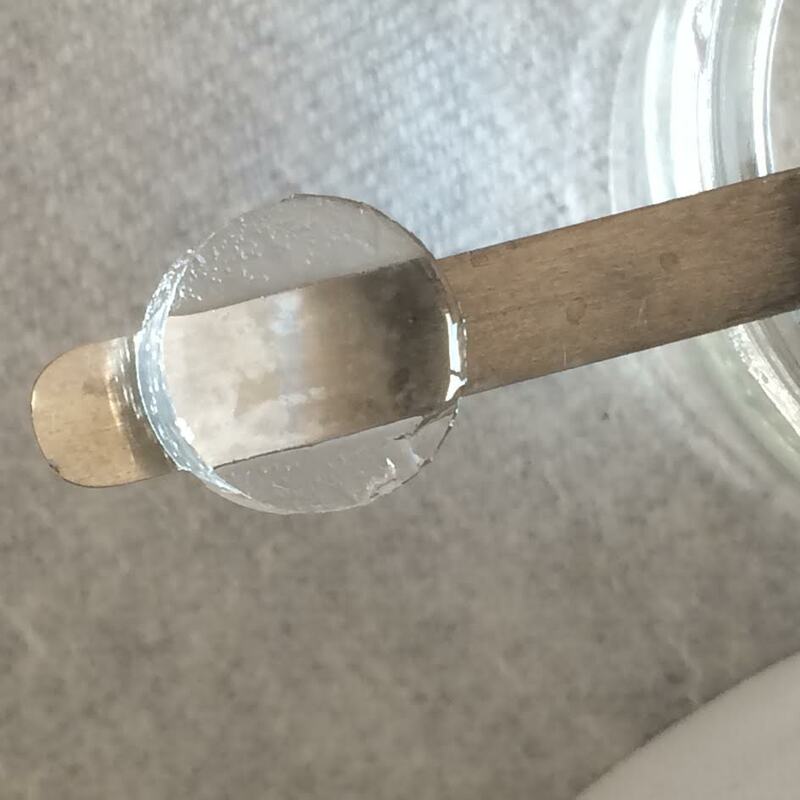 This chemical ligation crosslinking strategy for hydrogel formation is favorable since it is a mild reaction that can be performed in aqueous solution (pH 7.4 and 37 °C) in the presence of various functional groups, and it does not generate any unwanted byproducts. 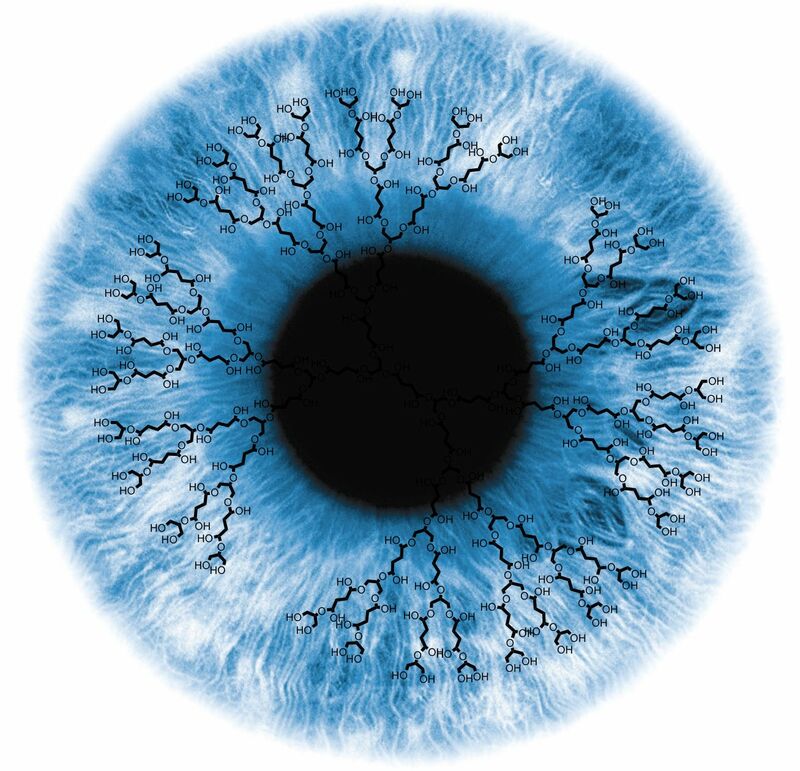 Using approaches of this kind, we have successfully sealed ex vivo cataract incisions, repaired ex vivo corneal lacerations, and secured ex vivo corneal transplants using a reduced number of sutures (J. Am. Chem. Soc., 2004; Bioconjug. Chem., 2006; ChemMedChem, 2006; Arch. Ophthalmol., 2009). These discoveries also led to the formation of Hyperbranch Medical Technology and commercialization of ocular (CE), dural (CE/FDA), spine (CE) and hernia patch (CE) sealants which have been used to treated thousands of patients (OcuSeal® and Adherus Surgical Sealants,® respectively). Osteoarthritis is a common form of arthritis that affects more than 100 million individuals in the world. As the disease progresses, lesions within the cartilage grow and eventually the subchondral bone is exposed. This degeneration of articular cartilage leads to a loss of mobility, severe and debilitating pain, and a reduction in the overall quality of life for patients. Consequently, there is significant clinical interest in creating a therapy based on tissue engineering principles to restore function to the damaged cartilage tissue site. Given our interest in dendritic macromonomers (J. Am. Chem. Soc., 2001; Macromolecules, 2001; Macromolecules, 2006) and hydrogels, we evaluated photocrosslinkable derivatives of the poly(glycerol-succinic acid)-polyethylene glycol dendritic–linear copolymers (PGLSA-OH)2-PEG as scaffolds for cartilage tissue engineering (Biomacromolecules, 2006, 2008). The hydrogels displayed a range of mechanical properties based on their structures, generation sizes, and concentrations in solution. All of the hydrogels showed minimal swelling characteristics. The dendrimer solutions were photocrosslinked in situ in an ex vivo rabbit osteochondral defect (3 mm diameter and 10 mm depth), and the hydrogel-treated osteochondral defects showed good attachment in the defect site and histological analysis showed the presence of collagen II and glycosaminoglycans (GAGs) in the treated defects. By contrast, the contralateral unfilled defects exhibited minimal healing and negligible GAG or collagen II production. The high mechanical properties, low swelling, strong attachment to the defect site, and positive in vivo results illustrate the potential of these dendrimer-based hydrogels as scaffolds for osteochondral defect repair. Electrochemical methods to detect specific nucleic acid sequences of hereditary diseases, genetic abnormalities, and viral or bacterial pathogens are of widespread importance to providing correct medical diagnosis and treatment. Thus, we have designed and developed two new DNA detection concepts. The first novel system generates an electrochemical signal upon recognition of the target nucleic acid (i.e., signal “on” device). Specifically a DNA-PEG-DNA macromolecule folds or wraps around the target nucleic acid bringing the electrochemically active ferrocene probe, located on one terminal end, in close proximity to the electrode surface affording an electrochemical response (J. Am. Chem. Soc., 2004). The second design exploits a hairpin to duplex transition on a gold electrode. 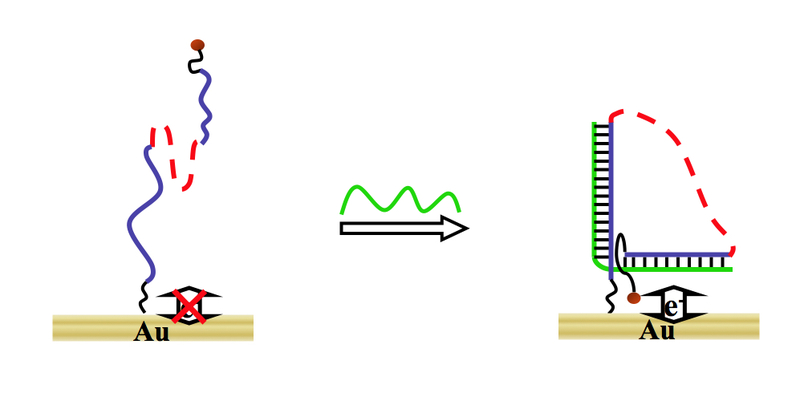 When a complementary DNA target strand binds to the hairpin, the hairpin opens, and the ferrocene redox probe is separated from the electrode affording a decrease in the observed current (i.e., signal “off” device) (ChemBioChem, 2004). Both of these electrochemical DNA sensors exploit electron transfer dynamics that alter as a consequence of a large structural rearrangement induced by hybridization of the target DNA sequence, and are a first of their kind. The synthesis of supramolecular systems using weak non-covalent chemical bonds to assemble molecules is an important and increasingly successful strategy. These supramolecular assemblies represent diverse structures and span from a few nm to mm in size. Elucidation and control of the factors that govern the recognition events at the molecular level represent a significant advantage to construct functional or intricate systems (Org. Biomol. Chem., 2008). 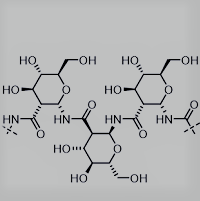 To this end, together with Philippe Barthélémy, we pioneered the use of nucleolipids, possessing both nucleic acid recognition and lipophilic chains components, to synthesize programmable supramolecular systems (J. Am. Chem. Soc., 2004). A wide range of chemically diverse cationic, neutral, and ionic nucleolipids have been prepared and these nucleolipids form nanofibers and gels, as well as functional complexes with nucleic acids for gene transfection (Chem. Commun., 2005; Bioconjug. Chem., 2005; Mol. BioSyst., 2005; Chem. Commun., 2006; New J. Chem., 2007; Bioconjug. Chem., 2009; Bioconjug. Chem., 2010; J. Control Release, 2011). For example, the formation of a unique self-assembly only occurs from the interactions of complementary alkyl functionalized ketal based adenosine and uridine nucleolipids (J. Am. Chem. Soc., 2008). When the two complementary lipids are hydrated in close proximity to each other, real time photographs show the two lamellar systems approach each other and upon contact form a wall of vesicles at the interface. Numerous small vesicles (50 µm) are present in this wall of vesicles as well as fusions with larger ones. Nucleolipids are a new class of amphiphiles, and their use provides an approach to unique supramolecular assemblies for basic studies and biomedical applications. Gene therapy offers the potential to cure a wide range of diseases by delivering a missing gene or a functional substitute of a defective gene. Presently, gene transfection activity is low with synthetic vectors, reflecting inefficiencies in the overall transfection pathway that include: DNA-synthetic vector complexation, endocytosis, endosomal escape, nuclear entry, and finally expression. 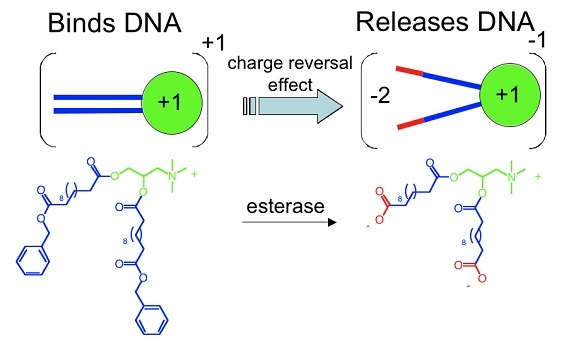 To facilitate release of the DNA from the carrier, we have designed and reported a new approach which entails the use of charge-reversal or charge switchable amphiphiles that transform from DNA binding cationic (+1) to an anionic DNA repelling (-1) amphiphiles intracellularly (J. Am. Chem. Soc., 2004; Chem. Commun. 2008; Acc. Chem. Res., 2012). This functional synthetic vector performs two roles: first, it binds and then releases DNA, and second, as a multi-anionic amphiphile, it destabilizes bilayers. This gene delivery system, which undergoes an electrostatic transition, intracellularly shows enhanced gene transfection efficiency compared to non-responsive transfection vectors. 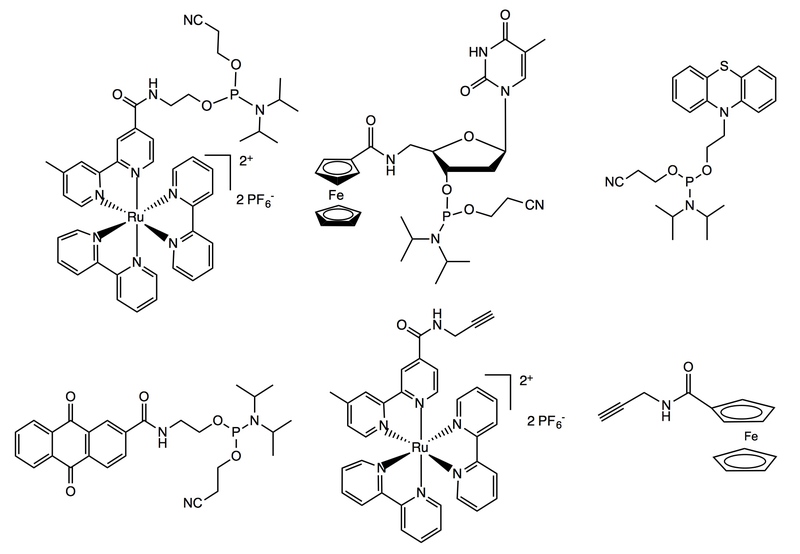 Oligodeoxynucleotides (ODNs) modified with functional reporter groups are important for research and clinical applications including primers for DNA sequencing, hybridization probes for detecting DNA, anti-sense oligonucleotides for therapy, and spectroscopic probes for DNA structure and function studies. We have developed synthetic strategies to site-specifically label ODNs with spectroscopic and/or redox-active transitional metal or organic chromophores. The first approach entails derivatizing the ODN during solid phase synthesis using Pd(0) cross-coupling chemistry (J. Am. Chem. Soc., 1999; Chem. Commun., 2000; J. Org. Chem., 2000). The second approach involves synthesizing the labeled phosphoramidite for subsequent incorporation into the nucleic acid strand using standard DNA synthesis protocols (Inorg. Chem., 1999; Inorg. Chem., 1999; Organic Letters, 2000; Bioconjug. Chem., 2002; Organic Letters, 2002). Electron transfer in DNA is influenced by oligodeoxynucleotide sequence, base-pairing, π-stacking, as well as the donor-acceptor distance and driving force on electron transfer rates (Angew. Chem., Int. Ed., 1999). Using our synthetic skills, we prepared DNA duplexes site-specifically labeled with electron transfer probes, and observed an electron transfer reaction between phenothiazine (PTZ), the electron donor, and a ruthenium-based photoexcited acceptor chromophore. (J. Phys. Chem. B, 2000). The preparation of nanoscale structures is an important step in the study of fundamental chemical and physical processes at unusually small dimensions. Conducting polymers are one promising class of materials with unique physical and chemical properties for use in electronic devices (e.g., light-emitting diodes, electrochromic displays), but fabricating such polymer structures is challenging. In collaboration with the Liu group, we developed and reported electrochemical dip-pen nanolithography to fabricate polymeric nanostructures (J. Am. Chem. Soc., 2002). Well-defined and electrochemically active polymeric nanowires and nanoscale junctions are prepared from aniline, ethylenedioxythiophene (EDOT), and pyrrole. A variety of ophthalmic conditions can yield perforations or lacerations of the cornea. Corneal lacerations represent ophthalmic emergencies that, if not treated promptly and effectively, can lead to blindness. Treatment options for corneal lacerations include suturing, patch grafting, penetrating keratoplasty, keratoprostheses, and glues (e.g., cyanoacrylate). 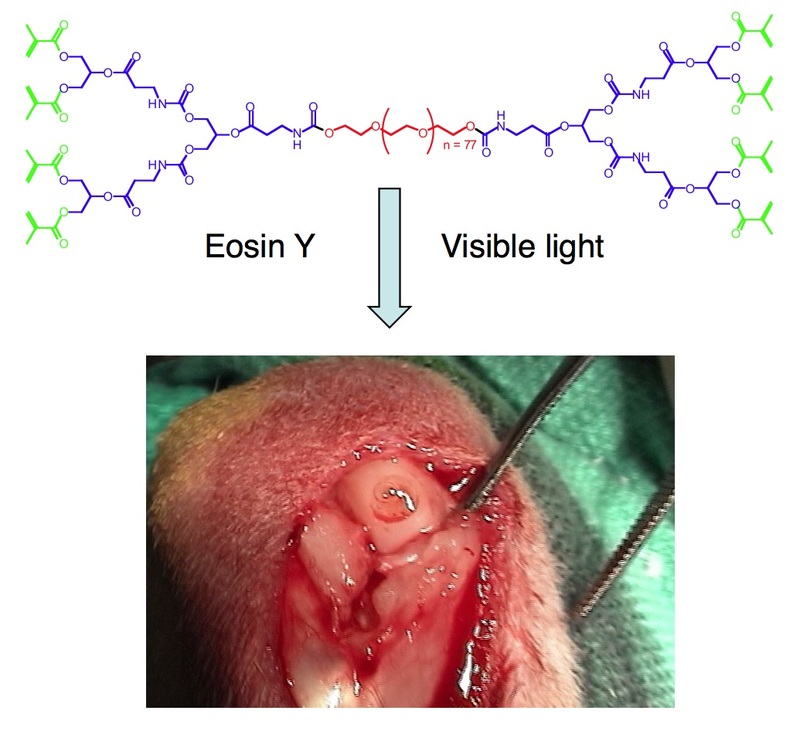 We have synthesized, characterized, and evaluated a novel photocrosslinkable hyaluronic acid-based (HA) sealant for repairing ex vivo and in vivo full thickness corneal lacerations. Hyaluronic acid was modified with methacrylate (MA) groups (HA-MA), so that upon exposure to visible light and in the presence of a photoinitiator, it will polymerize and undergo a sol-gel transition to a hydrogel. (J. Biomed. Mater. Res., 2001). This in situ photopolymerizing sealant successfully repaired full-thickness 3 mm linear, linear plus epithelium removed, stellate, and stellate plus epithelium removed corneal wounds (Cornea, 2002). A challenge in materials chemistry and engineering is to afford a specific macromolecular or molecular property by tuning a molecular structure through deliberate chemical changes. Materials that display nonlinear optical (NLO) activity are of fundamental interest and technological use for a number of photonic applications, including optical switching, communications, and data storage and retrieval. Pt(II) dimine dithiolate or catecholate chromophores possessing bulky electron-donating or electron-withdrawing sulfur or oxygen ligands exhibit interesting optical properties, including NLO (Inorg. Chem., 1998; Inorg. Chem., 1999). A number of important conclusions are drawn from our data, given the strong correlation between the metal chromophore electronic structure and the second-order polarizability. 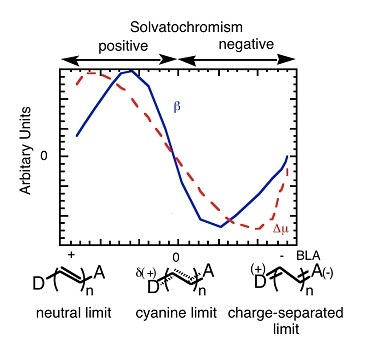 First, these Pt(II) chromophores display solvent-dependent second-order polarizability responses, underlying the importance of both molecular structure and the influence of the solvent medium. Second, Pt chromophores exhibit some of the largest negative second-order polarizabilities measured for a metal complex. Third, these data for inorganic chromophores conform to the two-state model, which relates the molecular structure and the second-order polarizability. Fourth, as suggested previously for organic chromophores, this present study also proposes that NLO spectroscopy may be a new analytical tool for characterizing the electronic structure of inorganic complexes. Finally, our results further substantiate the use of the two-state model and its concepts for the design, optimization, and study of new NLO chromophores. Phospholipids are a major component of all prokaryotic and eukaryotic membranes. The chemical structure of the phospholipid dictates the self-assembled bilayer structure formed, as well as the membrane physical and mechanical properties. In order to understand the effect of vesicle structure and mechanical properties when ribose is substituted for the conventional glycerol backbone, we have synthesized a series of new carbohydrate-based lipids possessing various alkyl chain lengths (J. Am. Chem. Soc., 2000, 2002). Structural and mechanical property studies indicate that below the phase transition, a lamellar crystalline phase is present and above the melting point (Tm), a fragile lamellar fluid state exists. Our results provide new insights into tailoring vesicle properties for pharmaceutical, cosmetic, or other industrial applications.